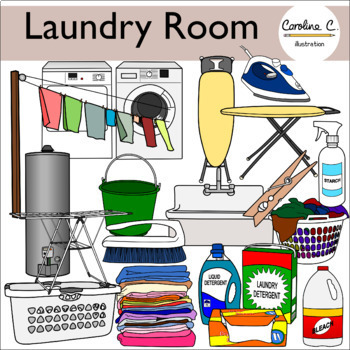 This set contains 56 illustrations of items and furniture found in the laundry room. 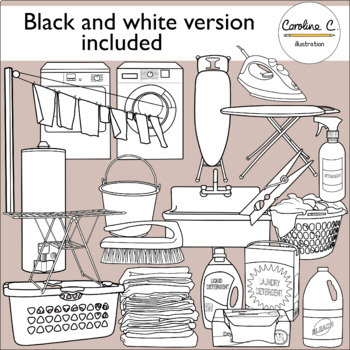 There are 28 color and 28 black and white images. 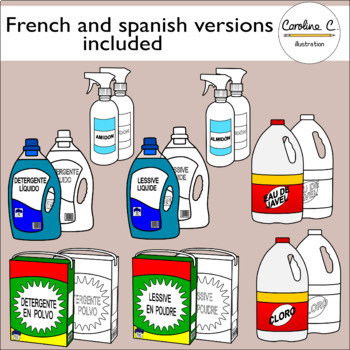 French and Spanish versions of some items are included.